Hey look, I’m doing news again. We don’t have a lot of time for doing news so if anybody can help us out, drop one of us admins a PM on the forums or send us an email (address found on the contacts page) – you could really help us out. Ok, first off lets get with the little piece of news out of the way. Remember Pokepark on the Wii? Well it’s getting a sequel. Already released in Japan at the tail end of last year, Europeans can expect to get thier hands on the new game, called Pokepark 2: Wonders beyond from March 23rd. No word on a US date of release. Pokepark 2 plays much like its predecessor, but instead of playing as just Pikachu, this time around you get to play as Snivy, Tepig and Oshawott as well as the Electric Mouse Pokemon. 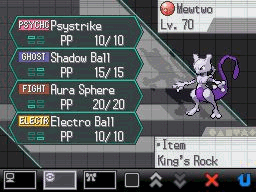 At level 70, Mewtwo is in a Cherish ball with a Premier Ribbon attached (meaning no trading on the GTS). 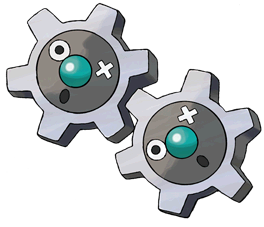 It knows Electro Ball, which it can’t normally learn, along with Aura Sphere, Shadow Ball and its signiture move Psystrike. But first, dont forget that a Shiny Raikou is available over Wi-Fi until Sunday 13th March, when Entei will be available from the 14th for a week and Suicune the week after. This can be downloaded onto ANY English version of the game, North American, European or Australian (and yes, still works even if the game isnt set on English mode). You’ll only need one of the Dogs to activate the Zoroark event in Black or White, but if you want the whole set you better hurry and download Raikou now. In addition to the above, a leaked list of other locations and Gym leader names has been released. These arent 100% confirmed, but like the leaked Pokemon names list a month or two back, its most likey true. More English Black & White info… Plus US Celebi! Black and White are around a month away from being released in English (along with French, German, Spanish, Italian…) – So the news about various features of the game are going to keep coming over the next few weeks. First up is news about the Dream World. This feature sees you uploading a pokemon to a website where you can catch more pokemon and grow berries. Well the guy in charge of the English version has said that to avoid the problems that the Japanese version had (so much demand on day one of release, it crashed) the English version of the Dream World won’t be up for about a month AFTER the games are released. We’ll let you know exactly when it’s up as soon as we know. In other international news, Official Nintendo Magazine in the UK once more announced some more English names. Revealing info on the first gym, its located in Striaton City, the first gym varies in type depending on your starter. We already knew that if you start with Oshawott, you’ll be facing Cilan and his grass type Pansage, as he appears as one of Ash’s new travelling companions in the forthcoming Anime Series. 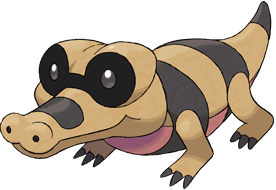 Start with Snivy and you’ll be facing Chili and his fire type Pansear. And of course, start with Tepig and you’ll end up fighting Cress and his water type Panpour. You’ll get the Trio Badge for wining along with TM83 – Work Up (formerly Cheer Up). 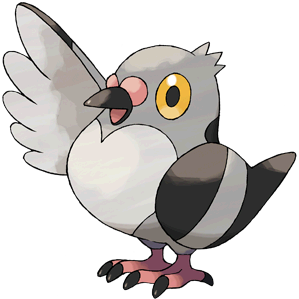 This normal type pokemon is a great pokemon to start the game off with – get one as soon as you can. Going beyond English names for Black and White things, details on the Celebi distrabution in the US has been revealed. Available from Gamestop stores between Febuary 21st and March 6th, the Celebi can be downloaded to any 4th Gen games. In HeartGold and SoulSilver, the Celebi will activate a Time Travel event while when its transferred to Black/White it will allow you to get a Zorua in Castelia City. No details on the UK distribution yet, but with only a few weeks to go we should hear something soon. That’s all we have for now – we’ll bring you more when we learn it. oh man – i have a few lousy days and the news just keeps flying off… ok i’m going to try and recap all of it in this news post – oh boy! Febuary 5th sees the Cartoon Network in the USA premier the 13th Pokemon Movie, Zoroark: Masters of Illusions (check your local listings). One week later on Febuary 12th sees the same channel debut the latest pokemon series, Pokémon: Black & White. When announcing the new show, it announced the English names for Ash’s new companions. Iris keeps her Japanese name while Dento becomes Cilan – these names are important to the new Black/White games as both characters appear. Cilan is one of 3 possible Gym leaders at the first Gym, you’ll fight him if you start with Oshawott as your starter. Iris appears in both games, but in White version she’s the 8th Gym leader. Not something i seem to post often around here, which is both a shame and something I plan to rectify in future. Following on from the next TCG set, Call of Legends, out on Febuary 9th – The first set to be based on Black and White will be released in April. This is a month earlier than the usual schedule the TCG sets get released, so whether the second B/W set will be released a month earlier or whether there will be a month longer gap is currently unknown – we’ll let you know all we can when we can. 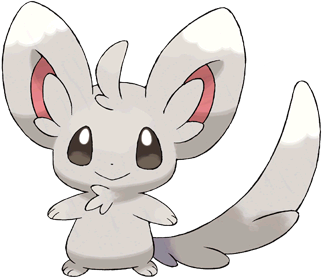 the first 2 pokemon they announced were Pansage, the grass elemental monkey who’s name was revealed on the back of the B/W box art already, and Victini, who’s name was confirmed in the Wi-Fi event above. They did annouce the english name for Pansage’s attack that can hit anybody on the opposing team in a 3v3 match regardless of where Pansage is placed. The attack is called Acrobatics. Meanwhile, Victini’s ability ‘Victory Star’ keeps its Japanese name. 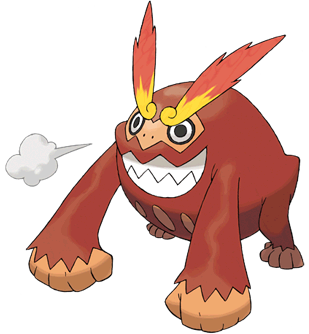 Watchog is the evolved form of Patrat. IGN also featured Alomomola and Sewaddle as well. That’s it for the news for now – hopefully we’ll bring you more news as soon as we learn of it. News the second: So while the legendary dogs are being made available gamestop (and celebi will be available soon there as well), Toys ‘R’ Us are about to hold thier own download event. From Jan 30th from Feb 13th, you’ll be able to get Ash’s Pikachu. Being the same one that Japanese players were able to download a few months back, it will be level 50, holding a light ball and know the moves Thunderbolt, Quick Attack, Volt Tackle and Iron Tail (the main 4 moves Ash’s Pikachu uses in the anime) – the OT will even be Ash! 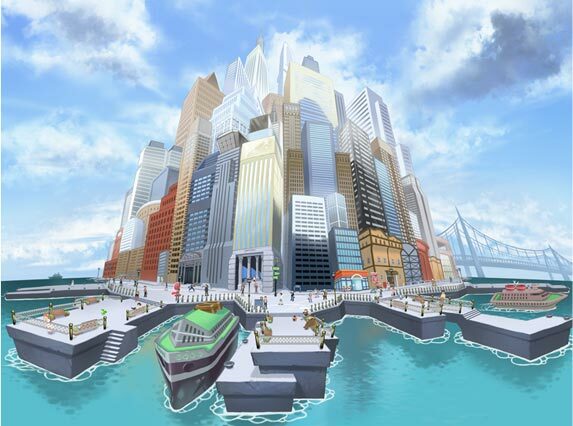 As expected, the latest series of the Anime following Ash’s adventures in the Unnova Region is heading to the US. In Japan, this series is cleverly titled Pokemon Best Wishes – which initials, BW is the same as Black and White – Clever huh? In America this series will also be cleverly titled as Pokemon Black & White… oh well, maybe being straight forward is the new ‘in’ thing. When does the Nintendo 3DS come out over here and how much will it cost? Between the launch day and E3 in eary June, Nintendo expect 30 games to be released, and that’s both first and 3rd party games. The launch day line up however is a bit vague, with no exact details on what games will be available on either side of the pond. As for the console itself, there’s some pretty impressive stuff announced. Along with the stuff we already knew of (anolgue stick like controler, 3D slider to adjust/turn off 3D effect, SD card reader (with a 2GB SD card coming with the console) 3 cameras (one on the inside, 2 on the outside, allowing you to take 3D pictures) and an inbuilt tag mode, allowing you to transfer tag mode data even if the game is not in the console) we also lernt that the system will have inbuilt AR games, allowing you to play with the enviroment as you view it and an inbuilt game which allows you to shoot and a funny depiction of your face (or anybody else you’ve taken photo’s of), a Mii creater will allow you to make Mii’s again, although this time you can take a photo of yourself and it will then use that to make a base (which you can edit afterwards, dont worry) – Mii’s can be traded via the tag mode automatically… the 3DS will also have a pedometer, so you can see how far your walking when your trying to pick up new mii’s and swap tag mode data for various games. Later on in the consoles life, an update will release a Web Browser and open up an eShop, with old Gameboy and Gameboy colour games, plus original stuff as well – will it also carry on the DSi’s Demo service, we can only hope. The most exciting news about the console (after release date and price, obviously) is the new Friend Codes system – working more like Xbox and PS3’s internet systems, your console will have a Friends Code you can pass to other people – again, you’ll both need to register each other’s code before you can play with each other… but unlike the Wii – each game will not require another friends code. That’s right, only 1 code per customer. Upon registering each other code, not only will you be able to play with each other on any game you’ve (each) got – but its said that you’ll also be able to browes a list of all the games your friends have been playing – its how the big consoles currently work anyway, so it shouldnt be too much of a worry. If you are worried about what your child is doing on the console, there will be parent controls that will limit the time playing on the web or completly turn off the 3D effect (amongst others, probably) -just make sure that the pin code you use to program these doesnt fall into your childs hands… that would defy the point! But when is the console coming out? Well Americans can buy this new console on Sunday, March 27th (3 weeks after Black and White is released). It will be priced at $249.99 (save now and save quick). Us Europeans however also get the system 3 weeks after Black and white, on Friday March 25th. The price wasnt announced at the confrence, instead they said it will be up to retailers. Most European contries seem to be setting the console at €249.99 while the major UK Games shops are pricing at around £229.99 – which seems around standard compared to the other prices set. Well – that was a lot of news… and we’ll bring you more when we find it out! 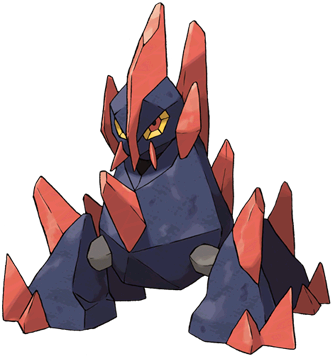 This is now Gothitelle, the Astral Body Pokémon, A Psychic type. 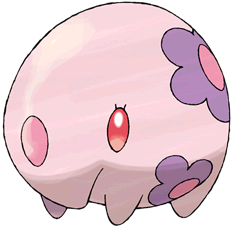 Keeping its Japanese name, Musharna, the Drowsing Pokémon, a Psychic type. the name of its Dream Smoke is now called Dream Mist, which is used to game sync system, the C-Gear. While mentioning this, it also mentions that Mokomo, Professor Juniper’s friend is now renamed Fennel. In similar news, there’s been a list of English pokemon names circulating various sites. While the names above were on the list, which was published before IGN made thier article, there’s been a bit of doubt thrown into the validity of the list. We here at the Pika Club do not use Rumoured names in our pages or articles, but we do acknowledge the lists existance and will publish it on the forums if people are interested. We’ve updated our Black/White Dex and our New Abilities page with this new information. To celebrate the fact that the greatest Pokémon games are about to be released on western shores, several events have been announced on both sides of the pond. Also mentioned for the US, Celebi will be distributed via Gamestop Stores. Originally rumoured to be handed out after the shiny beasts during the week of 27th February to 5th March, the actual dates of this event arent yet mentioned. It could be that week, or it could be during the entire of the Mall Tour… or it could even just be in the gamestop stores at the mall when the tour rocks up there. We just dont know. Also confirmed, Celebi will be heading to the UK [Finally!] – details on when and where are unknown, but its possible it will be the same as Arceus last year, in which a couple of weekends before the release of the new games, Selected Game stores will have this illusive pokemon to download, along with other pokemon related stuff going on… This will be the first time Celebi has been available in the UK for 10 years, when a small, under publisied tour was done for Gold and Silver… how times have changed. That’s all we know on all these events – as soon as we have more details – we’ll bring them to you. Don’t get too excited, its not like its a free Pokémon download or anything. But Nintendo of America has finally announced the American Release Date for Pokémon Black and White. Sunday the 6th of March 2011 will be the day all Americans will be able to finally play the superb Black and White Versions. Make sure you mark that date down now, and you pre-order it the next chance you get. We don’t know the European date yet, but based on last years schedule of HG/SS – it wasnt far off that… we’ll bring you more on that when we know it. 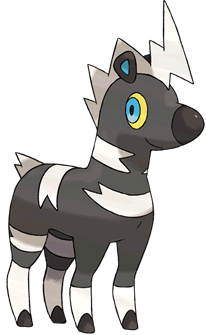 In Celebration of announcment of the release date, pokemonblackwhite.com has updated with a lot of new English names – including one i predicted long before Generation 5 was even anounced. Back in August 2009 (long before Black/White was announced) i suggested that the next professor should be a feamle prof named Juniper… Well, now presenting Professor Juniper! Juniper is the Main Professor of the Unova region. She’ll give you the customary ‘what are Pokémon’ talk at the begining of the game, along with presenting you with your pokedex.